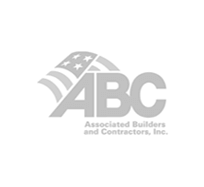 If your commercial building needs extra support, you may want to consider soil shoring or some of the other services we offer to our commercial clients. We create foundations for new commercial structures, but even more importantly, we can improve your existing foundation. Here’s an overview of these processes and some of the options we offer. 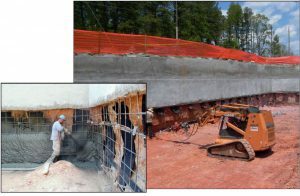 Our engineered systems allow for underpinning/soil shoring of existing shallow footings, permitting excavation adjacent to an existing structure to a depth that would otherwise undermine the existing footing and damage the structure. The technique includes a unique hydraulic system that utilizes continuous pressure to limit noise and vibration, thus ensuring the safety of onsite and nearby structures. In many cases, our client can continue working in their buildings, as you do the work. That saves money, and it means you don’t have to disrupt your workflow or your income-producing activities. This engineered solution is especially advantageous to commercial property owners as it enables them to construct buildings with maximum possible footprints, with one or more basement levels, in order to maximize income potential. Without this solution, most buildings would only be able to have a single basement. This is a multiple step process, and the system incorporates integration of several Atlas foundation support products. Modified resistance piers underpin the foundation of the existing structure. Next, the structural load from the footing is transferred down to a suitable load bearing stratum below the depth of the intended excavation. Then, helical soil nails combined with a shotcrete retaining wall are used to maintain the stability of the cut slope and the underpinning system as the excavation proceeds. · Initial excavation of up to 5 feet deep depending upon design parameters and soil conditions. · Installation of the first row of helical soil nails to the required angle of inclination, torque and embedment lengths. · Placement of drainage system (if required). · Placement of wall reinforcement and bearing plates. 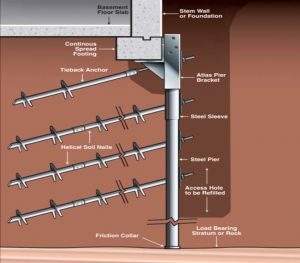 · Placement of shotcrete to the required wall thickness. · Allow for cure time and then repeat the sequence for successive rows of soil nails. · Continue the process until the final design depth (wall height) is achieved. When you’re choosing someone to help with commercial shoring or other commercial foundation needs, you have a lot of options, and you may be wondering why you should choose Atlas Piers. 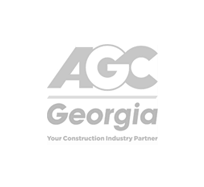 We have been in the business for over 30 years, and during that time, we have lifted or stabilized countless building foundations in Atlanta and throughout the rest of the Southeast. 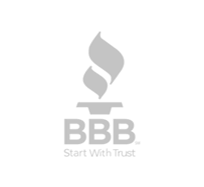 Our reputation precedes us, and in many cases, our clients are return customers or word-of-mouth recommendations. 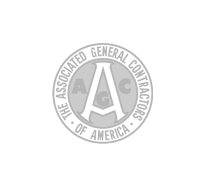 With over 60,000 successful jobs completed, we’ve earned the trust and respect of countless clients including engineers, architects, and business owners, who truly understand the merits of a strong foundation. If you have a new commercial construction project that is in need of professional shoring, come to Atlas Piers of Atlanta! To see how you could save both time and money with commercial shoring from Atlas Piers for your Atlanta business, call us now!